Unless you have been smothered in the middle of a ruck, the rugby world has been enthralled by the conversation over the proposed World League of Rugby. It has saturated sports news, and especially social media. The reaction from administrations, stakeholders – which includes national organizations and the players – are all adding their voice to the ‘to be proposed’ plan to have a 12 team World League of Rugby. One that will essentially crown a world champion in years apart from the World Cup…or at least, that is what has been discussed. World Rugby seems to have lost some of the control of the conversation, with posts and comment from CEO Brett Gosper and vice-Chairman Agustín Pichot, have done little to put out the flames of fans reaction. To clarify the facts, Last Word on Rugby have included both the official statement from World Rugby, and a quote from New Zealand Rugby. As the conversation develops, official communication may be lost in the emotive responses of teams from the Pacific Islands, and parties disaffected and dissatisfied with the direction that is proposed for the elite of the game. World Rugby; released March 1 via Twitter. “World Rugby recognizes and values the importance of player considerations and input into the annual international competition discussions. However, the manner the International Rugby Players (IRP) organization has expressed these is surprising given regular engagement throughout this ongoing process. World Rugby’s commitment to player welfare matters is unwavering and we will continue to engage and give full consideration to the welfare of players within the ongoing discussions. It is inappropriate to comment on specifics whilst wider stakeholder consultation is ongoing. “It is important to note that assumptions regarding the proposed competition structure are inaccurate and that important matters; such as playing load and emerging nation opportunities, are at the heart of constructive dialogue. “Consumer research confirms a structured annual competition would make fans and new audiences more likely to watch, attend and engage with international rugby, exposing the sport to new fans worldwide. There is also no doubt that a structured annual international competition would deliver significantly greater long-term global media revenue for reinvestment in the global game. This project has at its heart long-term growth and stability, not short-term wins, and that includes greater opportunity for players. New Zealand Rugby continues to advocate for an international rugby calendar that ensures the future growth of the game around the world, including the Pacific. NZR chief executive Steve Tew said no decisions have been made about the future format for international rugby. The most recent proposals are less than 24 hours old when they were made public. 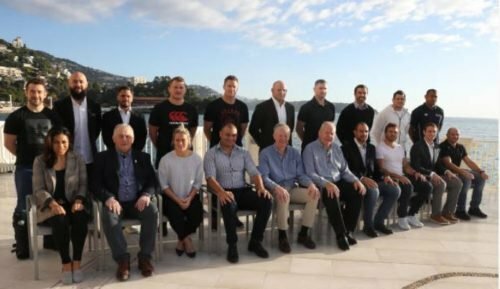 “World Rugby and the national unions; including New Zealand Rugby, have been working hard to increase the meaning and value of international Test matches. It is well documented that the game is under pressure to grow revenues, so the game from the community level up can thrive. “We are all working hard to find a balance between preserving the integrity of rugby and providing a pathway for the smaller and developing nations here in Oceania but all around the world to develop and participate. We cannot go into the detail of any of the proposals because there is a layer of commercial sensitivity to these discussions as we are trying to introduce new capital to our game. New Zealand Rugby are clear that ‘nothing has been decided’. Other nations will voice their support. Some will voice their will to participate. Some their desire for more information, and yet some will be in despair. Pichot has commented in interviews on New Zealand’s RadioSport that WR are far from settled on any plan. In player representative engagement, that seems to be a point of contention (that has been issued by many leading players). His desire to assist in the growth of Tier Two nations should not be discounted, however, commercial interests may override personal desires. In all the reporting, some have spoken of exclusive and quotes made by people who wish to stay anonymous. All good, and while the media wish to shine a light on any proposals, there is a clear Northern/Southern hemisphere split. The Six Nations will unite, and two nations have been ‘presumably’ added to The Rugby Championship. Strange combinations, and some that spit in the face of both World Rugby rankings. Are in conflict to their contribution to the game – it all makes for a busy, and emotional conversation. Let us all wait, and see what the goal is announced as. Then, further discussion and debate have to be allowed. No fixed arrangement for the World League of Rugby should be made for a 12 year period either. That seems obtuse, never allowing any team the ability to ‘earn their place’. If those conditions stay, then angry reactions could turn political in nature. However, it is simply an idea to date. But hopefully, it is one that will not break any relationships. It is still a ‘rugby united’ value that is at the core of our game.